Agent Insights - Reduce the risk by hiring a local agent. 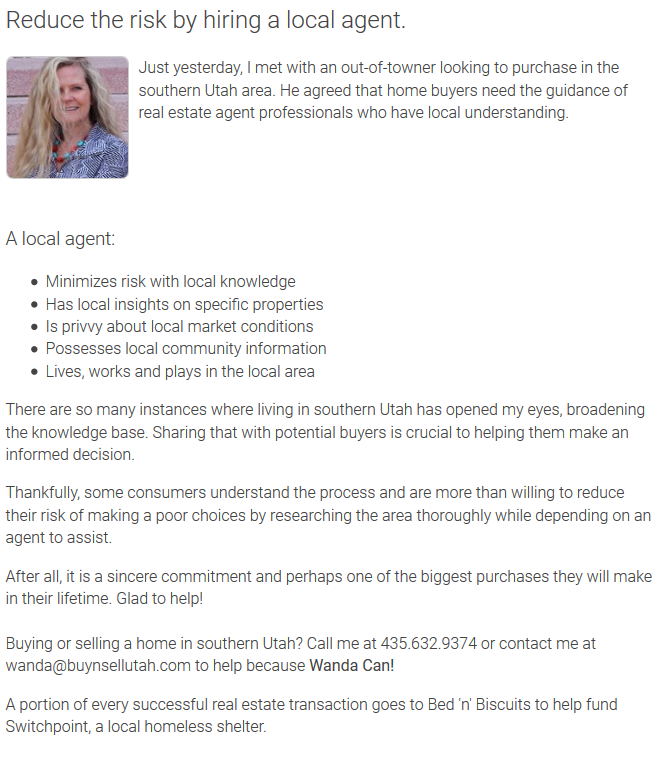 Agent Insights - In this edition of Agent Insights, Wanda Kubat-Nerdin, a real estate agent based out of gorgeous St. George, Utah, shares with us why you NEED a local agent. She is very knowledgable about her area and real estate in general. For more articles by her, be sure to check out her Active Rain profile!